Have you visited Nagaland? Nagaland is the land of the Nagas, the local tribe inhabiting the region. Check out the wonderful tourist places in Nagaland. Nagaland is the land of the Nagas, the local tribe inhabiting the region. The state is a member of the seven sisters group and shares its borders with Myanmar making it one of the last states on the North-Eastern Indian Border. The lovely mountains, chilling weather, virgin forests, exquisite scenery and lustrous, sparkling lakes and waterfalls make the state of Nagaland a relief for the sore eyes and sore nerves for the tourists all over the world. Divided into the 8 districts, the place is an ideal getaway for the summer vacations and can be covered in 3 to 4 days at the maximum. The rich tribal culture, distinct cuisine, and handlooms which are the perfect epitome of the fantastic craftsmanship of the Nagas, the state of Nagaland will offer you so many memories to cherish once the tour is over. There is something about the city of Kohima, be it the history, the repute of being a major war front, the wonderful natural surroundings or anything you can think of; the place seems to 'grow on' you. The moment you set your foot on its soils, you find yourself lost completely deeply into the fog, the surroundings, and the forests. The city is so rich in the forests and hills, that the camping, hiking, bonfires (depending on the policies) and other such adventurous activities can be done at every other hill. These are the other main attractions of the city: Kohima Cathedral, Pulebadze Peak, Naga Bazaar, Tseminyu, and Heritage Museum and Crafts Centre. 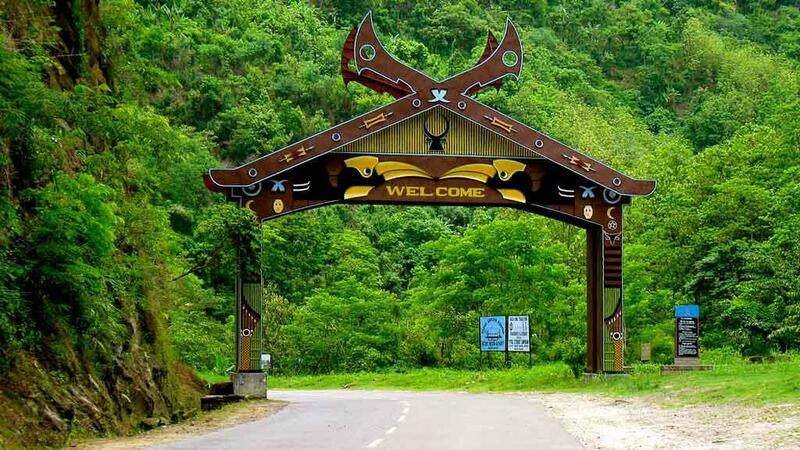 This is the entry point to the State of Nagaland and is a very well connected town with very good road condition. The rich natural and historical legacy has made it a must visit place while touring the Nagaland. 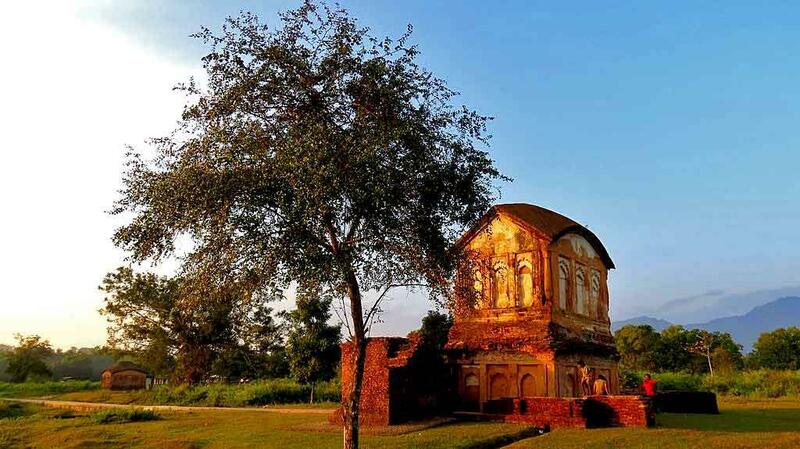 For the history lovers, who have those genes that love to dig deep in the historical monuments and explore them to their fullest, will love the Kachari Ruins in Dimapur. They are a very old construction dating back to the 13th Century. Quite little villages, quaint little towns, sprawling mountains and mystical valleys make all the cobwebs of the city life go away. Ruzaphema is the most famous shopping spot in the region where you can buy lots of souvenirs as well as other local goods. The other attractions are Kuki Dolong Village, Green Park, Handloom and Handicrafts Emporium, Rangapahar Reserve Forest / Zoological Park, and Chumukedima Village. The place houses the Lotha tribe and is a village with a rich and beautiful rural life. Oranges, Plums, and Apples are available in plenty and are grown using the 100% organic and natural manures. Other places of interest in Wokha are Liphanyan Governor's Camp, Water Pool, and Vonkhosung. The region is inhabited by the Konyak Nagas that are known for their warrior skills, tattooed faces, hunting and characteristic physical development. They are mainly agriculture practicing people that believe themselves to be direct descendants of Noah. The region shares a boundary with the Myanmar country and you can actually enjoy being in two countries, two places at one time. The villages are famous for the wooden carving, handlooms, and its harvest festival which is famous by the name of Along Monyu Festival. Chui Village, and the house of the chief which are famous for the animal trophies and the 60 married wives of the chief. The highest peak in the State of Nagaland is Saramati which can be overlooked from this region of Nagaland. The tourists can do trekking, camping and rafting. The saramati trek is currently a trend among all the tourists visiting Nagaland which is a three-day affair and involves passing a Rhododendron forest. There are a lot of caves and waterfalls which make the place all the more exciting. While touring Kiphire, you can also experience the canoeing. Salomi Village, Sukhyap or Lover's Paradise and Fakim Wildlife Sanctuary are the other main attractions. 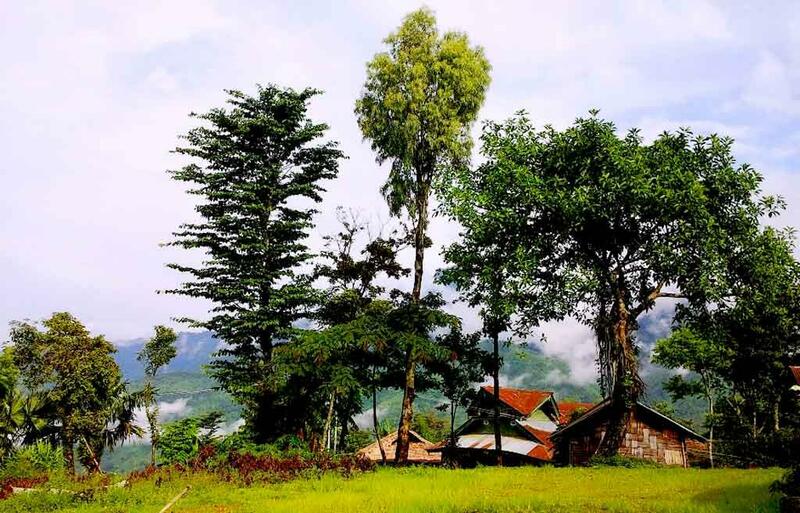 This place is famous as the most beautiful district in Nagaland and is home to some of the best rhododendron forests and hillocks. The place has this unique charm which makes every visitor fall in love with itself. There are numerous villages with the unique set of legends, festivals, beliefs, tribes, and some of the rare herbs and trees. There are various museums, parks, villages and hills which are the most famous tourist places in Nagaland that attracts visitors interest. You can easily go camping and trekking in the region. It is one of those beautiful places in Nagaland which make the tour complete and if you leave that place, your tour will not be complete. The valley is 30 km away from Kohima. A large number of ravines, streams, flowers, rich flora and loads of scenic splendour is offered to the tourists. The valley is yet another place for camping and trekking. Best places are Japfu Peak and Khonoma. Hey Thank you for this wonderful Article describing the tourist spots in Nagaland. By the way, I am planning a trip to Nagaland for celebrating the Hornbill festival 2018. See the blog that my husband has created for our Nagaland-trip: https://outonroads.com.